Place chicken breasts at the bottom of your crockpot. 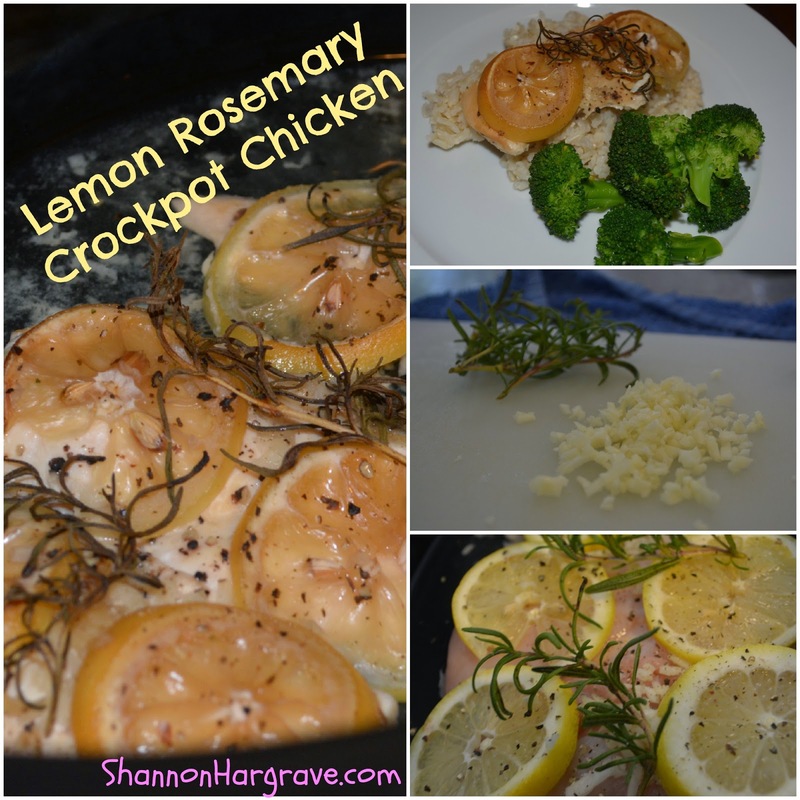 Top with chicken broth, rosemary, garlic, salt, pepper and sliced lemon. I just paid off two credit cards! !